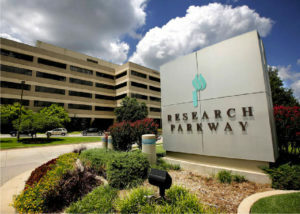 OKLAHOMA CITY, OKLA (July 15, 2015) – The Presbyterian Health Foundation (PHF) announced the recipients of their 2015 medical research grants on Wednesday. Working with Oklahoma’s medical community for 30 years and allotting more than $100 million in grants throughout their history, PHF has awarded more than $3 million to various organizations around the state to aid in medical education and research this year. PHF’s priority is developing medical breakthroughs and expanding economic opportunities for medical professionals. The organization focuses largely on basic medical research, biotechnology and exemplary quality healthcare initiatives for Oklahomans. Their contributions to the medical community help propel Oklahoma to the forefront of research, breakthroughs and innovations. Grant recipients were selected based on shared core values with PHF. This year, PHF was able to allocate more than $2 million in basic medical research grants to Oklahoma Medical Research Foundation, University of Oklahoma Health Sciences Center and Dean McGee Eye Institute. Nearly $1 million was allocated to organizations within or affiliated with the Oklahoma Health Center. Those organizations include: Children’s Rehabilitation Hospital, i2E, Children’s Hospital Foundation, Easter Seals of Oklahoma, Oklahoma Blood Institute, Oklahoma City University Physician’s Assistant Program and Oklahoma School for Science and Mathematics. PHF looks forward to awarding more grants in the future.